The Department of Defense has asked Congress to allow Russian rocket engines to be used until 2022, in order to keep the country’s space program going. The US is partly dependent on the Russian technology for launching its satellites into orbit. General John Hyten, head of the US Air Force Space Command, spoke about extending the use of Russian engines to journalists on Tuesday, TASS reported. He said the Pentagon made an official request to change legislation adopted in December 2014, which would see Russian RD-180 rocket engines replaced by American versions from 2019. He added the Department of Defense (DoD) has insisted on the RD-180 engines remaining operational for another four years. The US also hasn’t ruled out purchasing Russia’s license to produce the RD-180 engines on American soil, Hyten told TASS. The general said Washington wasn’t looking to use the RD-180 engines in the US for future space launches benefitting the Pentagon and national intelligence services. However, he did say they could be used for civilian, commercial purposes and by NASA. The supply of RD-180s is threatened by the political fallout between the US and Russia, as well as US sanctions on many cooperation projects with Russia, including all space projects except the International Space Station (ISS). Amidst rising tensions, Moscow threatened it could ban the use of its engines in American military-related launches, such as military and intelligence satellites. The CEO of SpaceX, billionaire Elon Musk, filed a lawsuit against the US Air Force in June 2014, for what he believed was a monopoly created by the United Launch Alliance (ULA), one of SpaceX’s main rivals. The ULA, a joint venture between Boeing and Lockheed Martin, used the RD-180 Russian made engines for its Atlas V rockets. “In light of international events, this seems like the wrong time to send hundreds of millions of dollars to the Kremlin,” Musk said in a statement in April 2014. 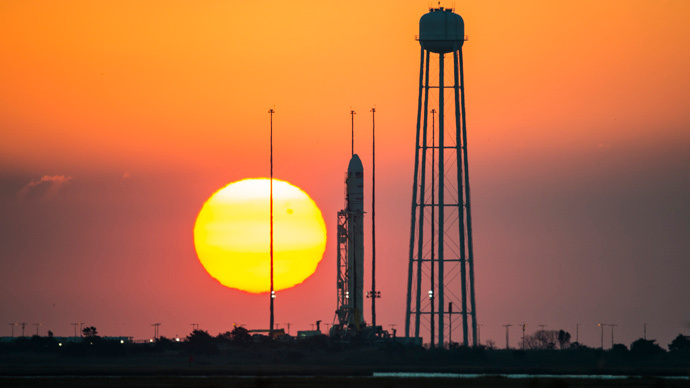 Russia has been busy upgrading its technology and in January, Moscow announced it will deliver 60 RD-181 engines for the Antares rocket program, at a cost of $1 billion. The RD-181 engine was developed specially for Antares and it allows more cargo to be delivered to the International Space Station.